The Slimline Galaxy SG1 is the latest design from Slimline and encompasses all the expertise which has made Slimline a household name in the slimming world. Slimline Slimming Machines electrically stimulate and firm your muscles. It is a simple, safe and painless alternative to surgery or drugs, while providing quick results, including reduction of cellulite, and improvement in body and skin tone. Slimline slimming machines can be used for pain control, sportsman's injuries, fibrositis, poor circulation and cellulite reduction." 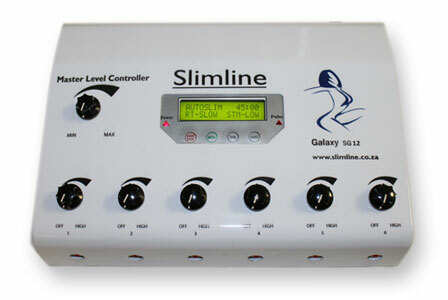 Slimline Slimming Machines electrically stimulate and firm your muscles. It is a simple, safe and painless alternative to surgery or drugs, while providing quick results, including reduction of cellulite, and improvement in body and skin tone. During the exercise, a computer-controlled electrical message is transmitted to stimulate the selected muscle groups. When the electrical signal is applied directly to the muscle, the muscle will contract until the signal is removed, creating large energy demand on your muscles. This causes the surrounding fat to be burned for energy. The more powerful the strength of the signal, the harder the contraction will be. This is known as an involuntary muscle action, as it happens without the brain asking the muscle to contract. "I purchased a Slimline 10 pad slimming machine about 5 years ago for personal use. Just thought you should know that this machine is the best investment I’ve made in my life! This machine not only helps with fat reduction but it also helps improve the visibility of cellulite and firming of my skin! No need for slimming clinics when it is so easy to do this in the privacy of your home whatever time suits you. " Slimline Machines are not just for slimming, they can also help athletes, as they can increase muscle hypertrophy, strength, and endurance. There are many muscles that are not stimulated even through vigorous sports and exercise. If you would like to know more about any of our Slimline products, would like to order or have machines that need servicing or spares please do not hesitate to contact us. Shop online 24 hours a day 7 days a week on our online shop. Dieting and weight loss can leave your body weak and damaged if you not not get enough natural exercise. The sliming machine can increase heart rate, body temperature, and metabolism which promotes energy and fat absorption from the body. The sliming machine tightens the deep and surface muscles to provide body sculpting without surgery. Calories are burned with the consistent use of the muscles, therefore the more the sliming machine is used, the more calories and fat is burned away. A computer controlled electronic slimming machine helps stimulate the body’s natural fat burning and toning processes to give you a lean and firm body. Fat is broken up and the body is strengthened and firmed. Slimline Machines are not just for slimming, they can also help athletes, as they can increase muscle hypertrophy, strength, and endurance. There are many muscles that are not stimulated even through vigorous sports and exercise. Athletes can use these machines for their regular training to fully exhaust their muscles and maximise growth. Electronic muscle stimulation can be beneficial to all muscles that are easily exhausted during normal exercise, like the stomach, abdominals, thighs, buttocks, and arms. It may also improve strength in conjunction with weight training, and relieve side effects such as intense muscle spasms and fluid retention that athletes experience during workouts. After normal exercise, muscles lose their elasticity and become scarred. Electronic muscle stimulation helps prevent this kind of damage from occurring while accelerating the repair of muscle fibers. 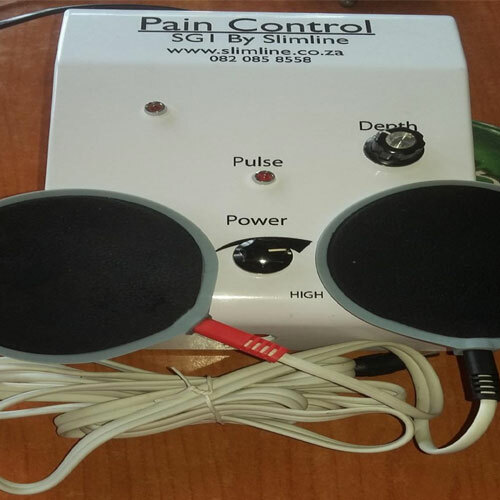 Slimline machines can also help the physically challenged and those who need physiotherapy for injuries and muscle rebuilding. This therapy can play a major role in the recovery of several injuries, and used in many physiotherapy clinics to help recover the usage of muscles. 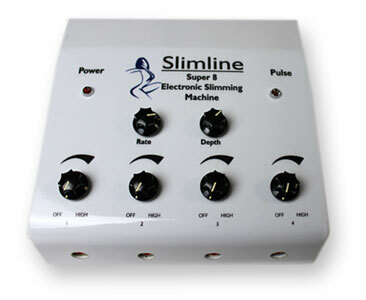 Slimline Slimming Machines are a healthy and easy alternative to usual exercises.